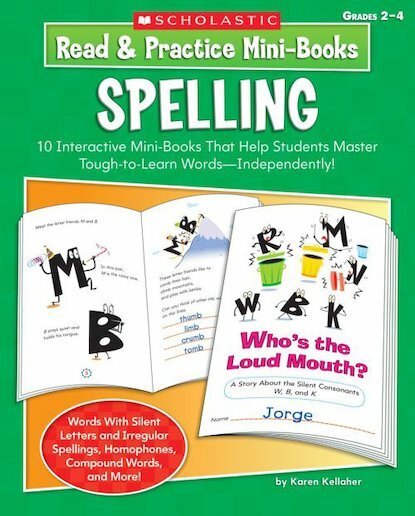 Kids will flip for these versatile, interactive mini-books that teach tips and strategies to help them become better spellers. Each humorous mini-book focuses on a tricky spelling rule or concept: words with silent e or silent consonants, irregular spelling patterns, homophones, compound words-and demonstrates its use in context. As they read, kids apply what they learn by completing practice items throughout the book. And the “Show What You Know!” page makes a handy assessment tool! Great for independent work, centers, day starters or homework. For use with Grades 2-4.